Jose heaps praise on defender – could he start versus Brighton? Manchester United return to domestic action on Saturday to take on Brighton & Hove Albion at Old Trafford. It will be our first-ever Premier League meeting with the Seagulls who start the weekend in ninth position having only conceded 13 goals through 12 rounds. We will have had only two days’ rest since our late 1-0 loss at FC Basel in the Champions League on Wednesday night. 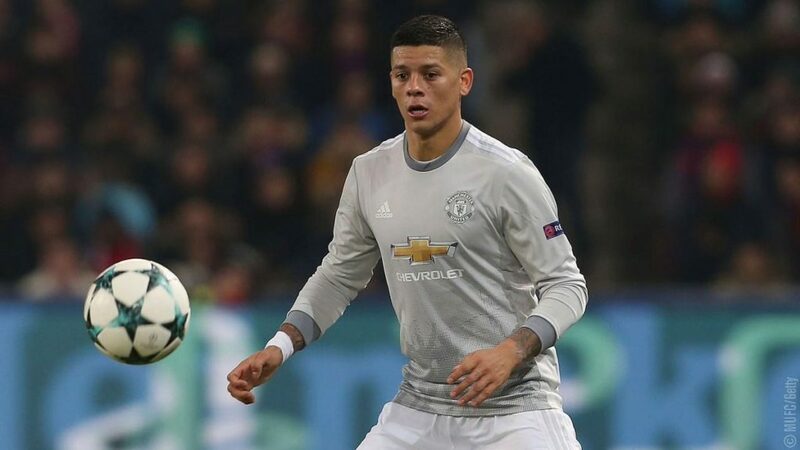 In that game Marcos Rojo made his first appearance since the end of April when he picked up a cruciate ligament injury against Anderlecht in our Europa League quarter-final tie. The Argentine defender had been an unused substitute for the first time this season, against Newcastle last weekend. Rojo put in a solid performance which included striking the crossbar from more than 30 yards at the end of the first half and denying Basel striker Dimitri Oberlin a one-on-one opportunity. “[Marcos] Rojo played very well. I think he could be playing a couple of weeks ago. We didn’t need to rush him, push him into that situation, but he was training with the team for quite a long time. “He had 45 minutes with the Under-23s team [last week in the Premier League International Cup tie against Athletic Club]. We knew Marcos was ready, the doubt was 90 minutes and lasting 90 minutes. But [in the] first half [it was] very easy. He had a lot of the ball, he didn’t have to be physically demanding. It will be interesting to see if Marcos Rojo will maintain his place in the starting lineup when we face Brighton tomorrow. Phil Jones, who has been a regular in the starting lineup this season, is sidelined. Eric Bailly is expected to be back from the minor knock picked up over the international break that kept him out of both the Newcastle and Basel games, and would be a guaranteed starter if this is the case. Victor Lindelof is unlikely to start given his performances since joining from Benfica over the summer whilst Rojo sees to be Mourinho’s preferred choice over Daley Blind. That means it’s between Rojo and Chris Smalling to partner Eric Bailly if the Ivorian is fit. It wouldn’t be a huge surprise if he was to start, but two games in four days may be too much following such a long spell on the sidelines.